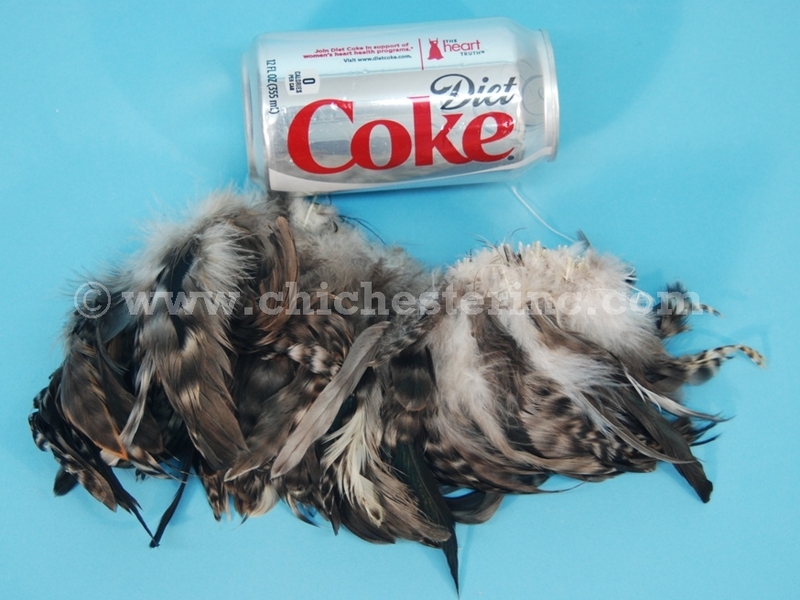 One pound of Coque rooster feathers. The natural chinchilla coque rooster tail feathers are approximately 4" to 6" long. They are strung and the feathers are sewn across the bottom near the quill. The price is by the pound. You don't have to buy a whole pound; we sell them by the quarter pound. 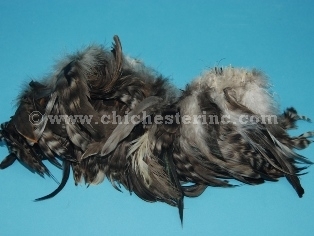 R-571-07 Chinchilla Coque Rooster Tail Feathers (4"-6") US$220.00 / lb. Genus and species: Gallus gallus. Ranch. Roosters/Chickens are not an endangered species and are not subject to CITES controls. The rooster feathers are a by-product of the food industry.